"You may be interested in Verizon Wireless." Are you comfortable having your location and Web browsing tracked for marketing purposes? If so, Verizon's got a deal for you. The wireless giant announced a new program this week called "Smart Rewards" that offers customers credit card-style perks like discounts for shopping, travel and dining. You accrue points through the program by doing things like signing onto the Verizon (VZ) website, paying your bill online and participating in the company's trade-in program. The catch? Smart Rewards participants have to sign up for Verizon Selects, a program through which Verizon collects data on your location, Web browsing and mobile app usage for marketing purposes. That data is used in Verizon's "Precision Market Insights" business, which combines information on phone activity with demographic data to generate reports for marketers. Verizon emphasizes that the data it collects is anonymized before it's shared with third parties. The program is novel in that offers Verizon users some compensation for the collection of their data, which has become big business for telecom and tech companies. Some privacy advocates have pushed data-collecting companies to reward customers for their personal information in the interest of transparency. The other major U.S. carriers -- AT&T (T), Sprint (S) and T-Mobile (TMUS) -- all have clauses in their privacy policies reserving the right to collect personal information including location data for advertising purposes. AT&T said it doesn't currently use location data for advertising purposes. T-Mobile said only that "do[es] not sell personally identifiable customer data to third parties without consent"; Sprint did not immediately respond to a request for comment. Online, meanwhile, scores of companies like Google (GOOGL) and Facebook (FB) make a business out of tracking your browsing habits. 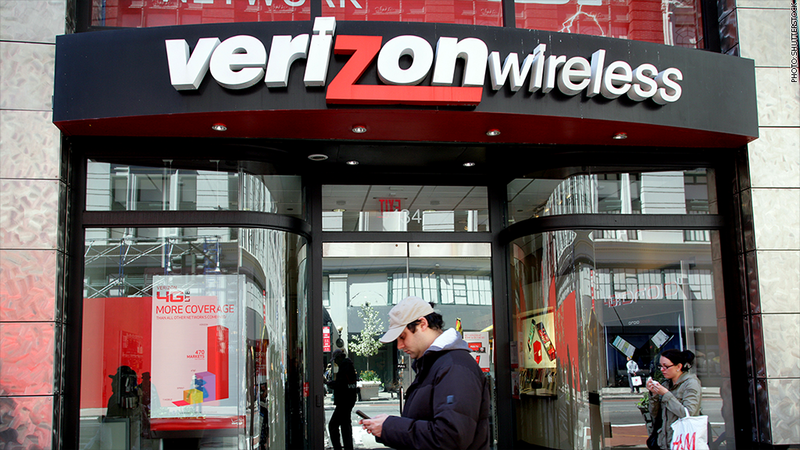 "In the increasingly internet and mobile data driven society we live in today, there are times we all share personal information with others in exchange for something that benefits us," Verizon says on its website.